Can it really be October already!? 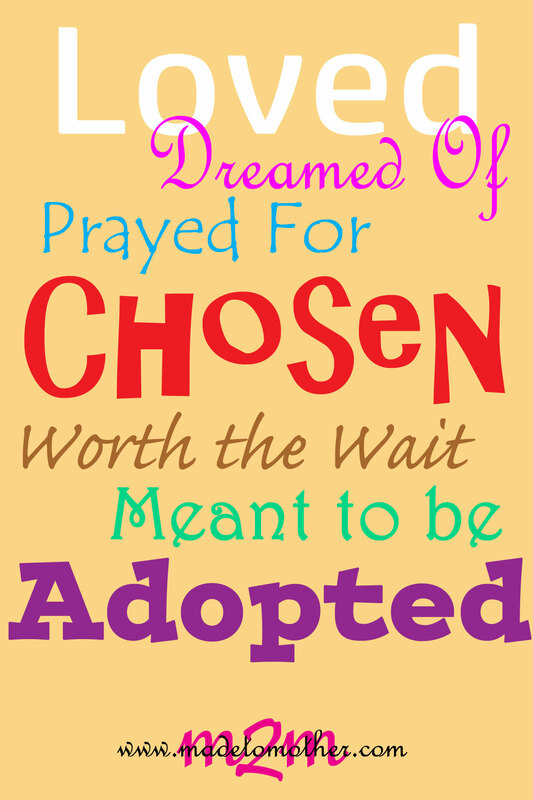 Less than one month until November and that means, National Adoption Month! For the last two years I have devoted the whole month on Made to Mother for adoption stories, and I this year is no different! Get ready for a whole 30 days of stories that honor adoption…Birth mothers, adoptive mothers, adoptees, adoption-related organizations, and anyone else with a story about how adoption has touched them.